150 Cubic Meters of Ice Means a powerful rocket fuel can be synthesized on Mars – powerful enough to escape Mars gravity for the return trip to Earth. Turns out Mars has 150 billion cubic-meters worth of ice that’s been frozen for so long it’s covered with Mars’ ubiquitous red soil. NASA knows this because of radar measurements from the Mars Reconnaissance Orbiter. The ice is spread out among a few ginormous belts made of countless glaciers. 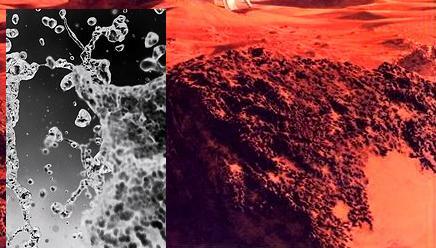 There’s been evidence of a once liquid ocean on Mars’ surface. Curiosity rover found riverbeds back in September 2012 with NASA able to estimate two pints of water for every cubic-foot of soil. In early 2014, Spanish researchers were able to prove glaciers dug canyons 3.7 billion years ago. Water leaves chemical byproducts of various reactions and residues. No one expected such a big find, except maybe anyone who saw the Arnold Schwarzenegger version of Total Recall. If you are wondering where Total Recall got the idea for underground glaciers, scientists have suspected glacial activity below the Martian surface for decades. The debate centered around formations that would not be abel to hodl their particular shape without glacial activity but was the frozen material water ice, dry ice, or a muddy mix of red dust and water or some other frozen gas or liquid. 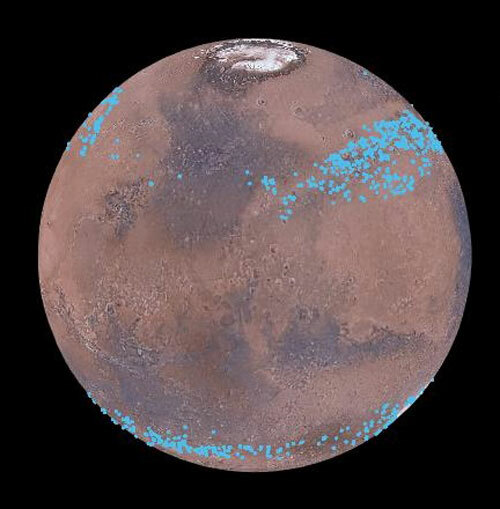 Using logic and science, the evidence available can now be interpreted to be enough to cover Mars with a meter of liquid water, if it melted – and if Mars was completely smooth. Read Nanna Bjørnholt Karlsson entire press release on the subject. Water can easily be separated into hydrogen gas and oxygen, making breathable air and a powerful rocket fuel that can be used for other space missions, including a return trip to Earth. Water can also be used to cultivate food and animal crops on Mars, making colonization a hell of a lot more appealing.